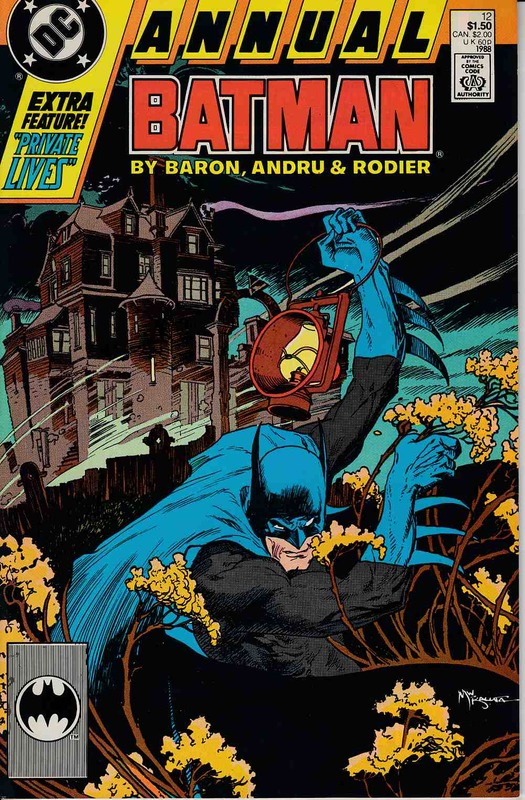 The grounds of a crumbling mansion are the scene for the Batman's hunt for two foes - one a ruthless killer, the other, something that may not even be human. Written by Mike Baron, with art by Ross Andru, Pablo Marcos and Denis Rodier. Plus, a special 'Private Lives' feature spotlighting Jason Todd, by Robert Greenberger and Norm Breyfogle. Cover by Michael Kaluta.